Looking for some of the Best Bookshelf Speakers under $200? If the answer is yes, then read on. You cannot deny the fact that a good speaker costs a hell lot of money. But since we are talking about a budget range bookshelf speaker, it is quite hard for us to choose the right one. As the options are limited plus not all the speakers under $200 offers you best in the business performance. So the question is which is the Best Bookshelf Speaker under $200? Well to answer this question, we have handpicked some of the best Best Bookshelf Speakers under $200. We have handpicked these speakers on the basis of performance sounds and overall quality. 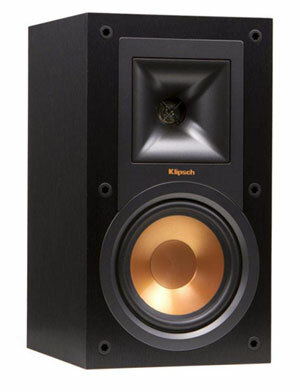 First of all, we have the Klipsch R-15M Bookshelf Speaker. The best part of this speaker is that it holds a price tag which fits our price range plus it comes with a 5.25-inch bass driver. The 5.25-inch bass driver is capable of producing a wide frequency response between 64-24000Hz. Plus there is hardly any bookshelf under $200 comes with this feature. The bookshelf speaker also comes with retro design. Also, it has its own copper-colored Bass Driver and Rectangle Shape around the tweeter which makes the bookshelf speaker as a recognizable one. As mentioned earlier, the speaker comes with a 5.25 inch Bass driver which comes with a large 1-inch tweeter. The tweeter is built using aluminum, and the best part of the speaker is that it comes with the company’s own 90×90 Tractrix horn technology. Overall, the speaker is pretty loud and can generate a total sound output of 85w. This is enough to fill a 500sq ft room easily. Plus you will get a good sound along with the speaker. 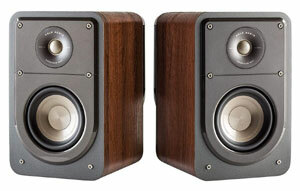 The speaker is also made of the MDF wooden cabinet. Also it has a lightweight body compared to the other options in the market. It weighs around 4.67 kgs. The speaker also comes with a 12.5-inch high speaker. The width of the speaker is about 7-inch, and depth is about 8-inch. Also using the Klipsch R-15M is a super easy task. All you need to do is connect the left speaker to the right speaker using the cables. Then connect everything to the sound source. Power the bookshelf speaker and you are all done. In the end all we would say that this speaker would be a great option as a replacement of your TV speakers. However, if you are planning to use it with your computer, then it would not be a good option. As you would not notice the stereo separation while you’re sitting close to it. Overall, you should go for this one if you want loud sound with good bass. 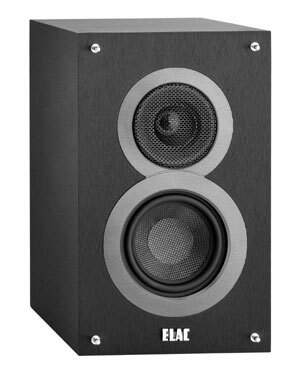 Up next we have the ELAC Debut B4 Bookshelf Speaker. This one is also one of the best bookshelf speakers under $200 that you can find in the market. This bookshelf speaker has received quite a lot of reviews and people around the globe appreciated this speaker for many reasons. Hence we decided to put this bookshelf speaker on our list. This one comes with a 4-inch bass driver which produce a wide range of frequencies. The best part of this speaker is that it offers you more of professional and critical sound listening experience which other speakers in this price range fail to offer. Another top reason to appreciate the ELAC Debut B4 Bookshelf Speaker is that it comes with the best in business built quality in this price range. The quality of the body is exceptionally great and made for long lasting usage. You can say that its kind of a one time investment. Once you spend your money on this, you do not have to bother yourself getting another speaker for years. Moreover, you get a vinyl wrap which definitely gives this bookshelf speaker is a premium look plus it helps it to get a unique style. The overall design of the speaker is also pretty nice but it comes without the grille which gives you a closer look to the beautifully designed Bass Driver and Tweeter combination. Also, obviously the design needs to be good as it is an Andrew Jones speaker. However when it comes to performance it would not be as good as it’s big brother B6. As the B4 variant has a small cabinet when compared to the B6. Hence there is a difference between the performance. But the good part is that, it offers you great sound quality along with a great bass which you will definitely love to enjoy. Overall, all we would say that this one is a value for a money bookshelf speaker that can satisfy all your needs. Plus it looks extremely great. What else do you need? Amazing stereo separation with clear bass lines. 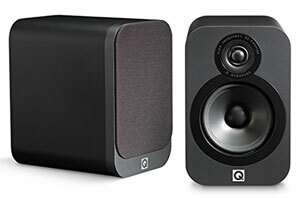 For our next pick, we have the Q Acoustics 3010 Compact Bookshelf Speakers. This one is also one of the best bookshelf speakers under $200 that you can check out. This bookshelf speaker is a perfect solution for those people who are looking for a compact sized speaker. This one does not just come with a compact size. But it is extremely affordable plus it sounds exceptionally great. The bookshelf speaker’s height is about 9.25-inches which definitely makes it a very small speaker. You can comfortably place the speaker beside your computer monitor or TV and get a great sound experience. The height of the speaker is not the only thing that is small, but the depth is also quite short. It takes around 8 inches of space which you place anywhere pretty easily. However, the speaker is not those plug and play type. But the good part is that you won’t struggle getting started with the speaker as a first timer. The speaker is extremely easy to set up. However, for a guide, you can always look into the manual shared with the speaker. Also, as these ones are not plug and play speakers, this means you have to get yourself an external amplifier to make the speaker work. But the good thing here is that an amplifier would not cost you a lot. You can even get it under $10. Moreover, just in case if you want to try out wireless setup, you can use add a DAC like the Fiio E10K (Buy Fiio E10K) or Fiio BTR1 (Buy Fiio BTR1) to the speaker. Coming to the specification part, this bookshelf speaker comes with a 4 inch woofer unit and a 1 inch tweeter. The bass unit of the speaker is made of Aramid fibers and paper cones. The sound quality of the speaker is also pretty nice when compared to the other options in the market. However, you will need a good setup to get the maximum result from the Q Acoustics 3010. Overall, the speakers sound extremely good plus have a small size. This definitely makes it one of the best options to pick under the $200 budget. You will need a good setup to get the best performance. If you are in search of a bookshelf speaker which offers rich sound, then the Polk Audio Signature S15 American HiFi Home Theater Compact Bookshelf Speaker is the perfect option for you. This one has received quite a lot of positive reviews from the actual users, and hence it made to our best bookshelf speakers of all time list. The good part of the speaker is that it comes with a small sized body which offers you rich quality sound. Plus it is completely American. If we talk about the design of the speaker, well to be honest there is nothing really special about it. It looks like any other normal speaker. But the good part is that there is a glossy part in front of each speaker which is surrounded by the woofer unit. Hence it offers you a unique look and makes it recognizable. This one is a two way speaker which include a 1 inch terylene tweeter. The tweeter helps in producing a higher frequency effectively. Also, there is a 5.25 inch mica-reinforced polypropylene woofer unit which offers you a clear bass and dynamic midrange. The most interesting feature of the speaker is that it has a power port at the back panel of each speaker unit. The best part of this bookshelf speaker is that it offers you an extremely amazing bass response. At the same time, it minimizes the turbulence and distortion. In other words, it helps in spreading out the lower frequencies in a wide area. As a result, when you keep the speaker close to a wall, the post located in the back ensures that you are getting a boomy bass. The height of the speaker is about 12 inches, and the depth is about 10 inches which definitely makes it very compact. But the good part is that you won’t have to purchase a separate amplifier unlike the Q Acoustics 3010. Despite having a small size, the speaker has managed to offer a frequency response between 50Hz; all the way up to 40kHz. Overall, the speaker is a perfect option in all aspects apart from the design. Comes with power port which helps in spreading the bass equally. Design is not that great. This one is one of the top priced speakers that you will find in the market. The best part of this bookshelf speaker is that it offers you a great design which will surely give you modern vibes. This one has also received quite a lot of positive reviews and that’s why we thought of putting this speaker on our Best bookshelf speakers in 2019 list. Flaunce as a brand always known for making budget bookshelf speakers that offers a great look and the Fluance Ai40W is no different. This bookshelf speaker is available in three colors. These colors are the Black Ash, Lucky Bamboo, and Natural Walnut. And let us mention that all of them looks exceptionally amazing. However, if you ask us what’s our most favorite one then we would suggest you the Lucky Bamboo variant. So make sure to have a look at this one as well. Apart from the look, the second best thing about this bookshelf speaker is that it comes with Bluetooth. This means you can use this speaker wirelessly as well. It sports the AptX Technology for compression free data transfer which helps wireless performance to be great as much as possible. Also, it has a very compact design. The overall design of the speaker is about 11 inches in height and 7.6 inches deep. Moreover, there is a 5 inch bass unit and a 1 inch tweeter unit embedded on the speaker. The sound output of the speaker is about 70W. This is a good output which will definitely help you to fill up an entire room. This one is also a plug and play bookshelf speaker. But the good part is that it is a powered speaker which means it has a built-in amplifier. As a result, you will not have to purchase any other amplifier separately to make the speaker work. Also, there is a small remote control included with the speaker which offers you a few control settings. Like you can use the remote control to adjust the bass, select between audio sources, increase or decrease the volume, play/pause the music and so on. Furthermore, the sound quality of the speaker is also excellent which will definitely give you an enjoyable listening experience. Has an older Bluetooth version. Just in case if you are looking for a bookshelf speaker with Bluetooth, then you can also have a look at the Edifier R1850DB Active Bookshelf Speakers. This pair of speakers is also one of the best bookshelf speakers audiophile that you can find in the market. 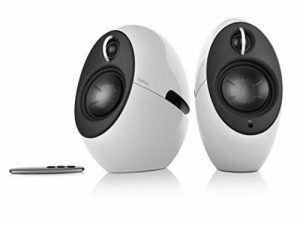 The speakers have lots of positive reviews and a reasonable price tag. Also, the best part of this speaker is that it satisfies all your multimedia needs. The speaker comes with a built-in amplifier and option for a sub line-out option. This allows you to add a subwoofer to this already top sounding bookshelf speaker for better sound performance. However, unlike the Fluance Ai40W, it does not offer many color options. The speaker is only available in Black with Piano finish. The design of this bookshelf speaker is also pretty amazing. But it is a fingerprint magnet which will eventually take away all the glossiness as you start using it. When it comes to connectivity, Bluetooth is not the only thing that you get. But along with that, there are other connectivity options are available. The back panel of the speaker features quite a lot of things. These things include a bass knob, RCA input, RCA to Aux input, an Optical input port, a Coaxial input port, Sub out port, Left speaker out port, power button and Volume knob and so on. These are some of the connectivity options which are rare in $200 speaker, but the good thing is that the Edifier R1850DB is offering you all these. Even this definitely helped the bookshelf speaker is to be the best option for the money. However, the con of the speaker is that all the knobs are located at the back panel. So whenever you plan to change the settings, there will be a little struggle that you have to face. The design of the speaker is also quite great. But there is no speaker grille included with the speaker which can be a drawback. The sound output of the speaker is about 70w which should be good in most of the cases. The height of the speaker is about 10 inch and has a depth of 8.8 inches. Also, the sound quality of the speaker is amazing which will definitely offer you some kind of good experience. All the knobs are located on the back panel. Up next we have the Mackie CR4. This one is also one of the best bookshelf speakers under $200 in 2019 list that you can find in the market. 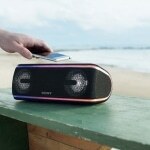 The speaker comes with a trendy look which obviously attracts the young audience. The bookshelf speaker looks premium and comes with a great design. The other good part is that it comes with a budget friendly price tag. Hence this is the best option if you are looking for a style with good sound. 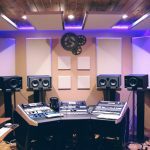 The manufactures of the speaker are promoting the speaker as a studio monitor and the reference is quite accurate. As it looks good in both of the environment, i.e. : Home and studio. What’s more? It offers you a sound output of 50W which should be good for most of the cases. Also in case, if you are looking for a Bluetooth speaker, then do not worry. There is another variant of this speaker which has Bluetooth version. Just add a few extra bucks, and you will get the Bluetooth variant. The speaker is extremely small in sizes, the height of the speaker is about 8.2 inches, and it is about 5.5 inches wide and 6.2 inches in depth. In other words, you can say that these speakers are one of the most portable speakers that you will find in the market. Moreover, to help you in reducing the vibration the bookshelf speaker comes with a couple of isolation pads that you can keep underneath the speakers. It also comes with a 4-inch Bass driver and 0.75-inch silk dome tweeter. Also around the bass driver, you can see the green accents which offer the speaker a really cool look. The speaker also sports a volume knob. Even you can connect a headphone jack along with the speaker just in case if you want to. Overall, for the budget, these bookshelf speaker is exceptionally great, and you should definitely give this a try. Even there are few other variants are available for the same speaker, so make sure to check them out. The volume is little low compared to the other options. For our next pick, we have the Edifier R1700BT Bluetooth Bookshelf Speakers. This speaker belongs to the starter category. 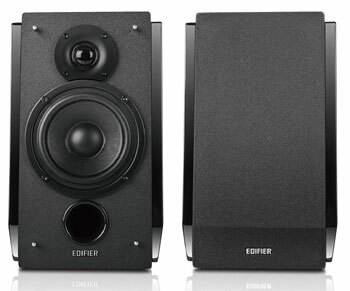 This means the speaker has a bookshelf, but it cannot be used for multiple purposes the way you can use the Edifier R1850DB. 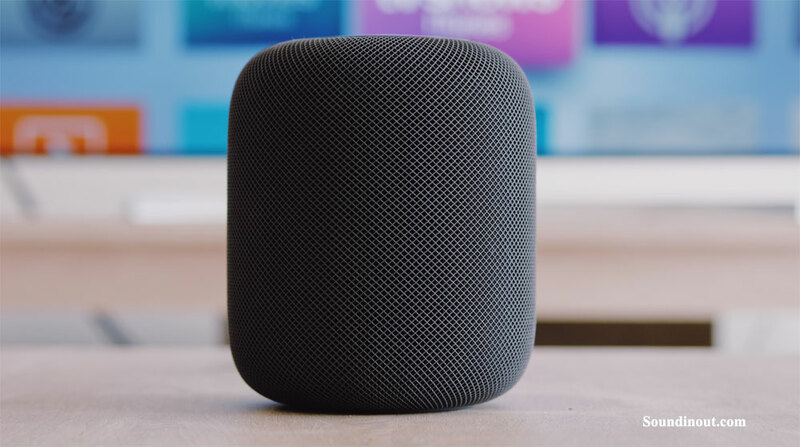 However, the Bluetooth speaker comes with Bluetooth which allows you to connect your speaker wirelessly to your smartphone or other audio input sources. However, when it comes to design the speaker does not offer a great look. Instead, it has a mean design. It has an angled front which makes sure that the sound is thrown at your ears directly if you have placed them on your desktop. It also offers you a great durability thanks to it’s wooden made body. The bookshelf speaker sports a high quality MDF cabinet which comes with a walnut wood vinyl finish. It also has the Digital Signal Processing (DSP) and Dynamic Range Control (DRC) which helps in preventing distortion and noise. However, to get a digital noise free audio, we would recommend you to get a high quality DAC separately. The weight of the speaker is about 6.6 kgs per speaker set. It also sports a 4 inch bass driver and has 2 inches silk dome tweeter. The tweeter is capable of producing a frequency range between 60-20000 Hz at an impedance of just 4 Ohms. Also, it offers you a sound output of 66w, and you can say that this one is the loudest bookshelf speaker that you can find on our list. However, when it comes to connectivity, there are not so many options are available. But the good thing is that you get the necessary options. Like you get a PC optimal input and an AUX in. Plus there is a Bluetooth so you can connect the speaker wirelessly. Along with that, you get a small remote which can be used to control the speaker. Like muting, unmuting and so on. You also get three knobs on the right side of the speaker which lets you control settings like treble, bass, and volume. But sadly these options are not available on the remote. Side knob for easy to use experience. The remote is not too advanced. 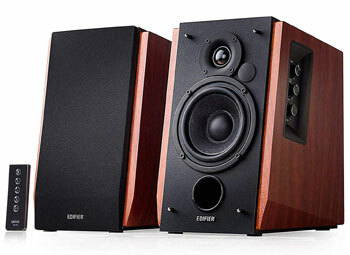 In the end, we have the Edifier USA e25 Luna Eclipse. The speakers do not have a bookshelf design though. But they sport a stylish yet unique design which you would surely love and after all, you are putting $200 in a speaker so not get a cool looking one? This pair of speaker comes with three designs. These designs are the Black, Red and white plus they sports a future ready design which will go with the modernized home interior designs. The speakers have an egg shaped body which sports a 3 inch bass driver on the front panel. As well as there are 2 inches and inch passive bass radiators are located on the back panel of each speaker. It also comes with 2 inches of silk tome tweeter on the front panel. 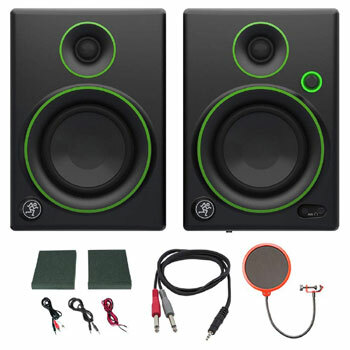 As it has quite a lot of drivers in a single speaker the rest are assured that you will get quality sound output. That being said, it comes with 74W sound output. However, the speaker is not too big. Instead, the height, depth, and width of the speaker are about 9 x 9 x 5 inches. So you can place it wherever you want pretty easily. Another good thing about this speaker is that it comes with a remote control which can be used for volume up and volume down. Also, there are different knobs located on the speaker itself. The sound is not as good as compared to other ones. So those were all the best bookshelf speakers under $200 that you can check out. Now you must be wondering which one of these speakers is the best one? Or how to pick the best speaker. Well do not worry, let us share a quick guide to this as well. So you can easily pick the best bookshelf speaker for yourself. The first thing that you need to consider is the speaker size. 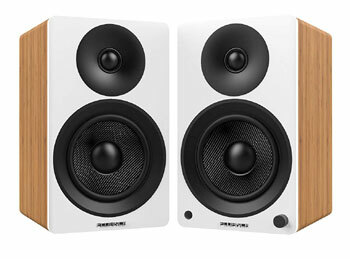 In this price range, there are quite a lot of bookshelf speakers are available. Some of the speakers are huge in size. Even there are speakers who are extremely portable. But the main thing over here is to understand the right need. Like, you cannot put a huge speaker in a small room. Neither you should pick a speaker who cannot fill a small room with its audio. In case if you have a small room, then any portable speaker would be an ideal option for you. One of them is the Fluance Ai40W. This one does not just look good, but it is compact in size. Plus it is capable of filling a room with its sound. 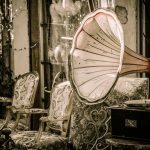 However in case if you want to go for a large speaker, then you might need some extra equipment to power up the speaker. So you need to consider your need and then the speaker size. The bass driver and tweeter size is another thing that you need to consider while picking up a bookshelf speaker under $200. However, to make it easy for you, we would advise you to go for a speaker that has at least 4 inch bass driver and comes with a 0.75 inch tweeter. So you can have a better audio quality. Also, you must know that a large bass driver offers a wide range of frequencies. The last thing that needs to consider is connectivity options. Any regular bookshelf speaker would come with an analog connection so you can connect your PC or TV. 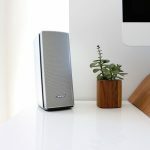 Even there are a few speakers which come with digital Connection, and some come with Bluetooth connectivity. However, not all the bookshelf speakers under $200 come with Bluetooth. But there are a few who does. So that was a complete guide on best bookshelf speakers under $200 and buying guide. We hope now things are pretty clear to you and you are going to pick the best bookshelf speaker for yourself. There is no doubt that there are so many options are lying around us. Even choosing a speaker from this list itself a difficult task. But if you consider every point and check out reviews on Amazon before picking up a speaker. We do not think you would make a huge mistake. Also, all the options that we have mentioned above are unique in its way. So whichever you would pick, just you know you won’t get disappointed. Anyway, now it’s your call to go ahead and check out the bookshelf speakers and see which one is working the best for you. Also for any more questions, do feel free to comment below and we will surely help you with your query.